I first visited Lake Como around 12 years ago with my late wife, Liz. 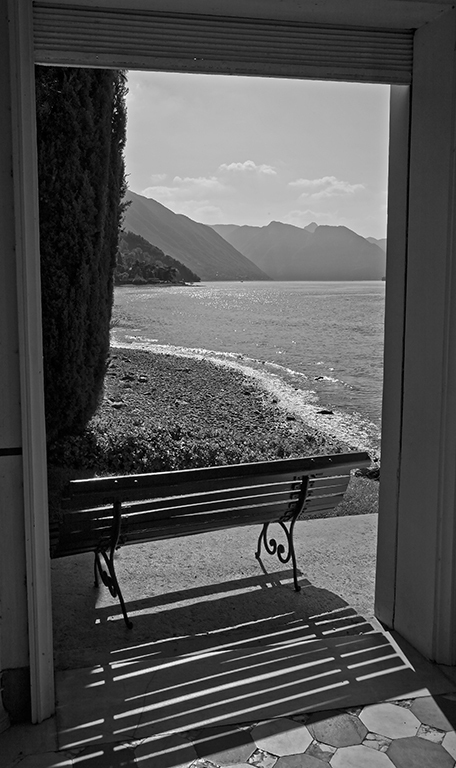 We were captivated from the moment we first glimpsed the mountains and enticing lake as we made our way down to the shores of Lake Como in the car from the airport in Milan. 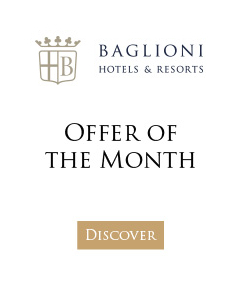 We returned a number of times – to sample the tranquility and calm that this stunning region of Italy offers. 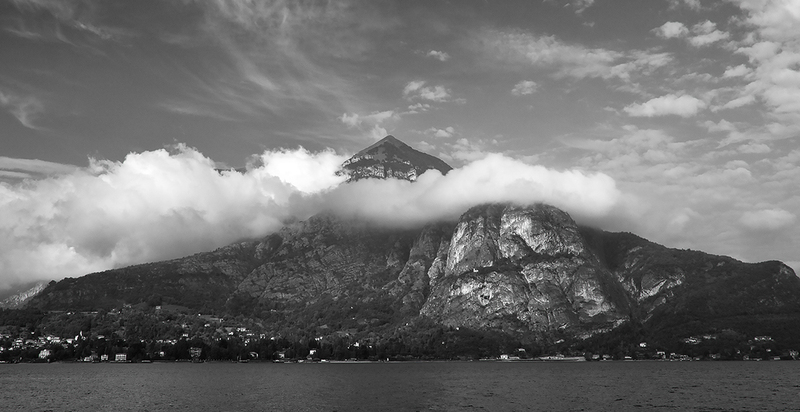 It was on our last visit (and mine) in 2007 that I took this series of images. Many were taken whilst we traversed the lake on the one of the numerous and fairly frequent small ferries that quietly mill between the towns and villages up and down Lake Como. You can get a train from Como itself, to Milan and beyond. 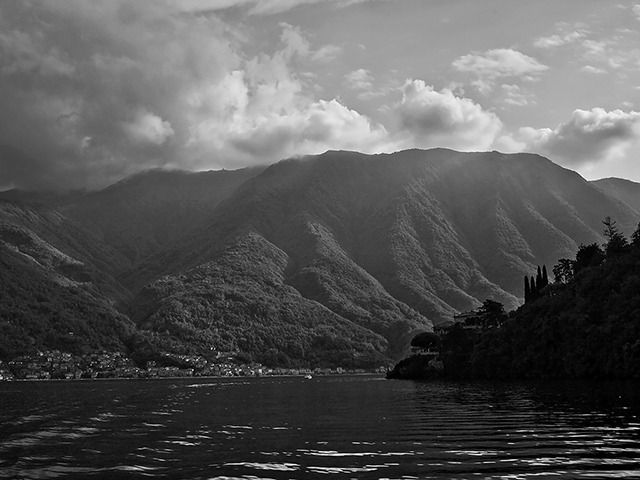 I have revisited my photo-library and created a black and white collection from this last visit to Lake Como. 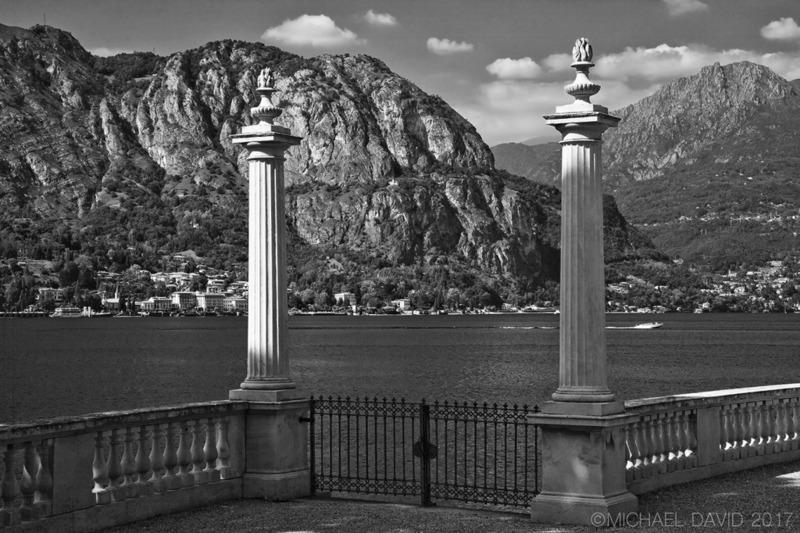 I chose black and white because I think it freezes time and perfectly illustrates the stillness and elegance that Lake Como is imbued with. 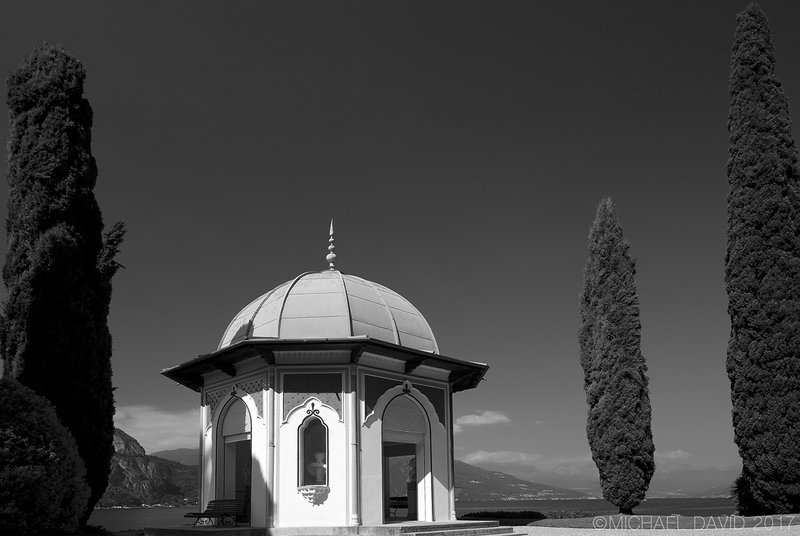 There is something perhaps more emotive when the colour is not there – where time can, albeit briefly, stand still. I want to share this with you because it really is one place (I know there are so many!) that I think everyone should try and visit. 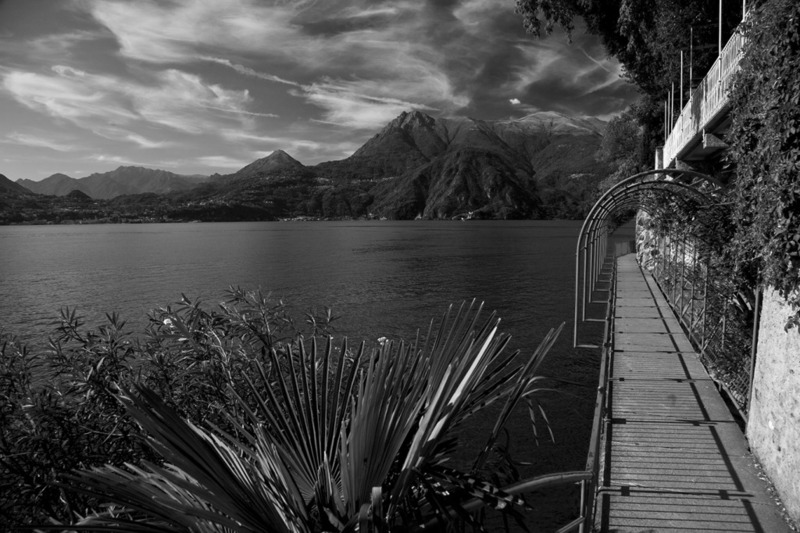 Delightful towns and villages, elegant shops and restaurants, stunning vistas, beautiful gardens – and of course the chance to traverse the lake as many times as you like and truly escape everything. 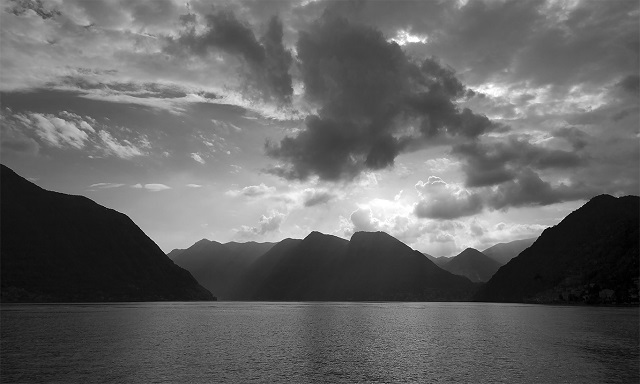 So this is my homage to Lake Como and the magical times I have had there. 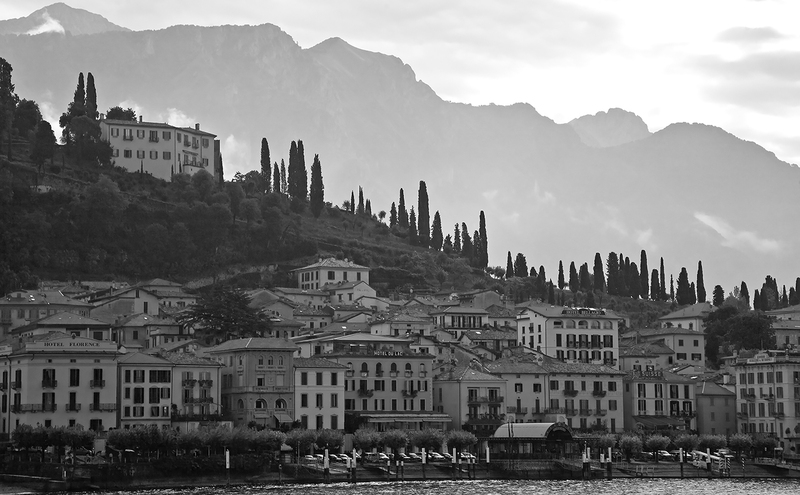 The charming town of Varenna, where I stayed. 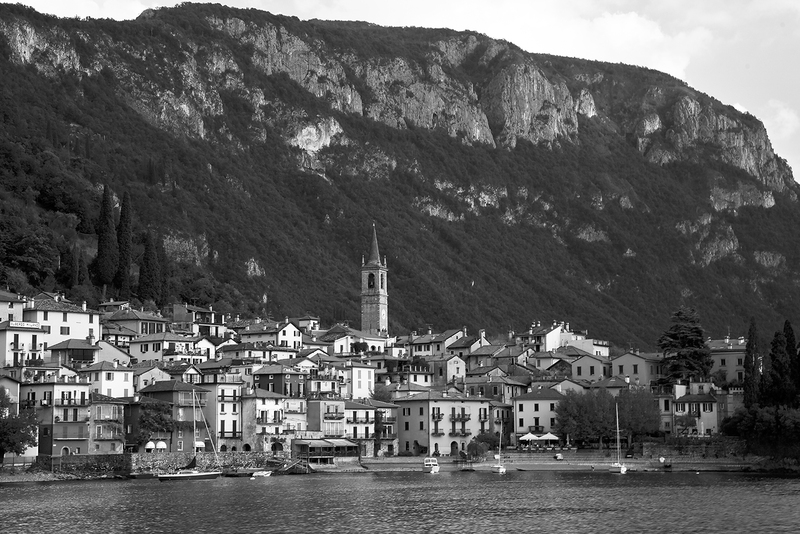 Bellagio, probably the most glamorous town on Lake Como, with lovely restaurants and shops. 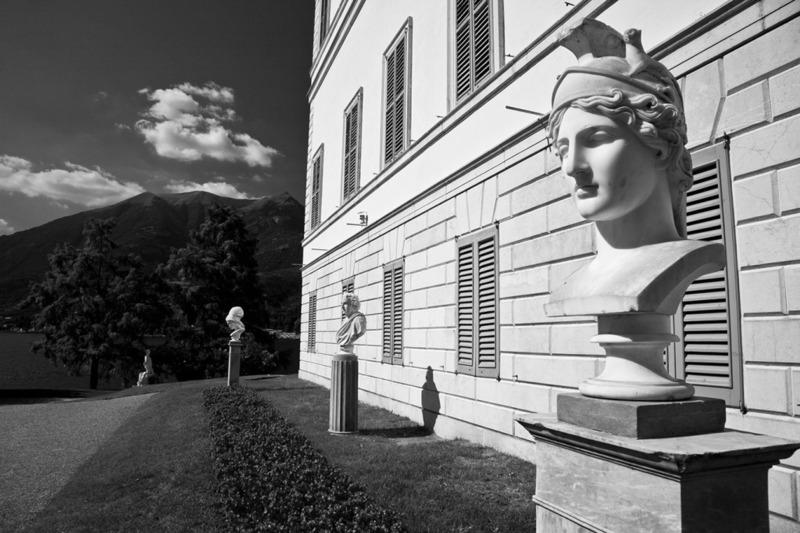 The gardens at Villa Melzi. A great place to escape and enjoy the peace of the area. 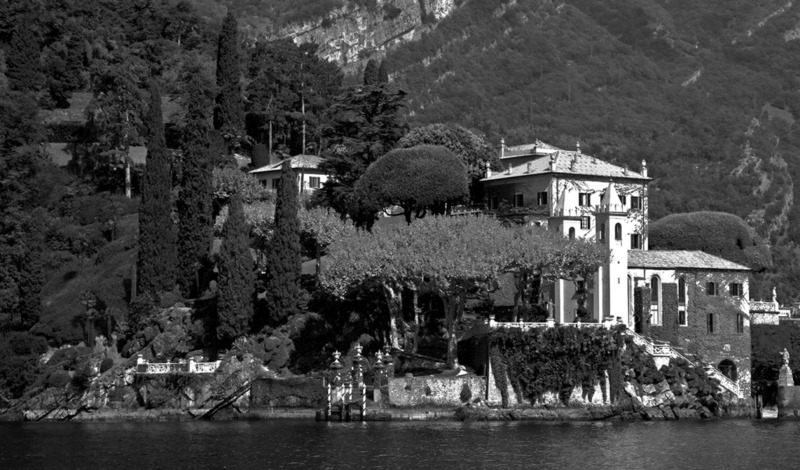 And just a short stroll from the genteel bustle of Bellagio. 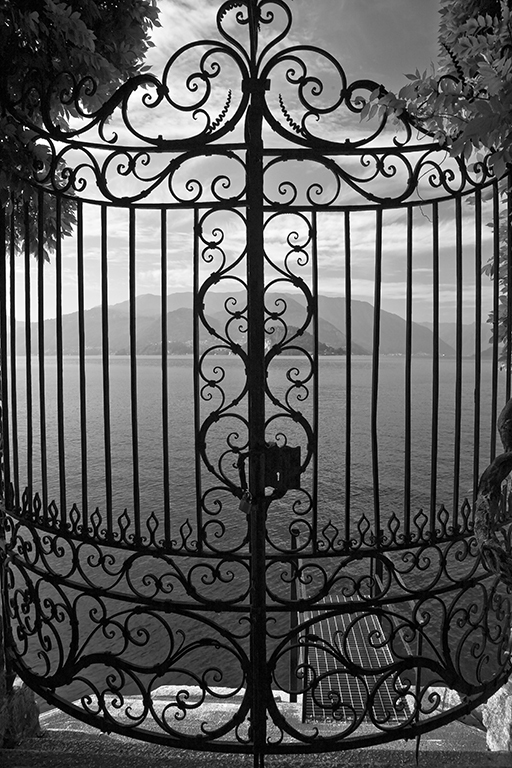 Gorgeous wrought iron gates, walkways and places to rest and contemplate the views abound on the shores of Lake Como – here are just a few. 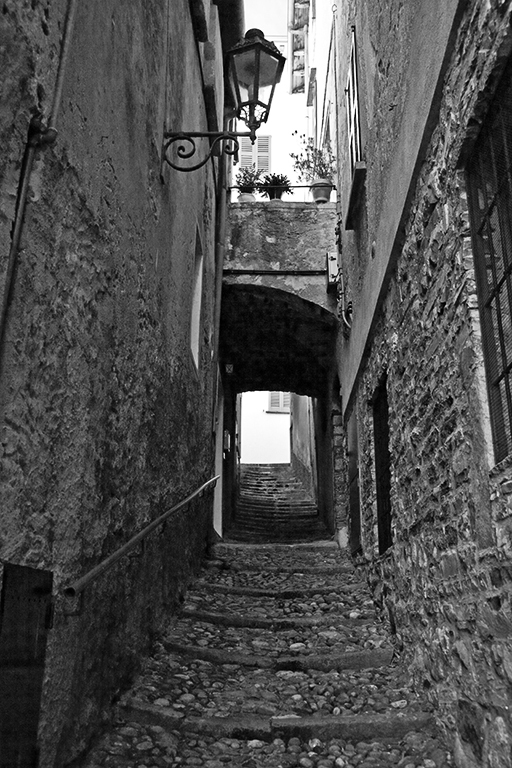 A sun dial adorns the side of a classic house and the second image illustrates a typical cobbled walkway that can be found in many of the towns around the lake. 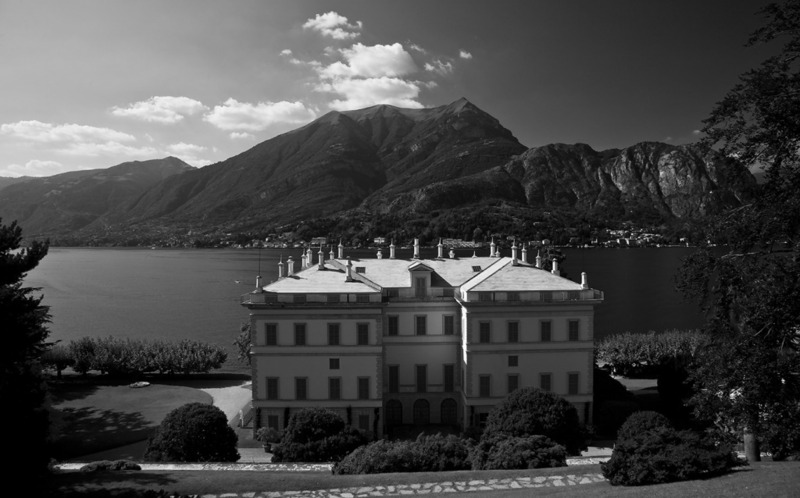 Lake Como – Iconic and beautiful. I will return. —Michael David is a London-based photographer who also worked in digital communications in the British government, where he was also an official photographer. This included photo shoots at 10 Downing street and Buckingham Palace. Follow him on Twitter, and view his photography at http://www.michaeldavid-photography.co.uk . You can also read his photo blogs on https://michaelseye.wordpress.com. 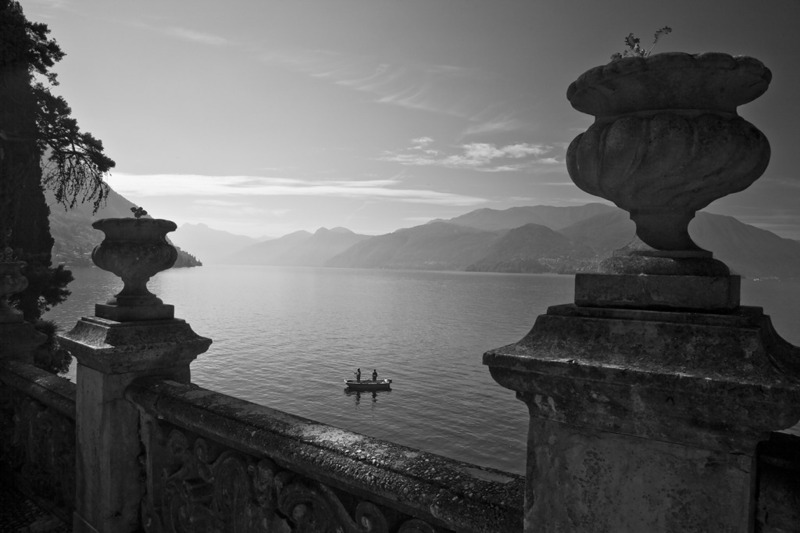 Lake Como, a magical and mysterious lake, is one of Europe’s deepest, if not the deepest.